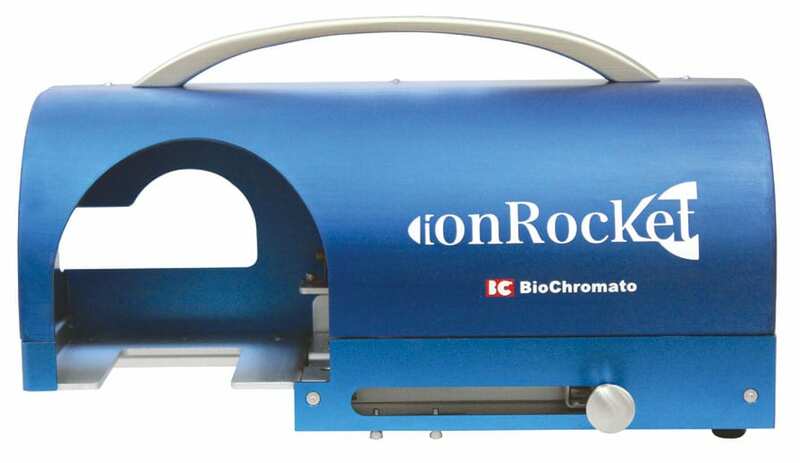 The ionRocket visualizes (identifies) the hardly seen compounds in your samples. It generates the heat gradient from the ambient temperature up to 600ºC at the rate of 100ºC per minute. It allows various compounds in your samples to be sublimated or vaporized. 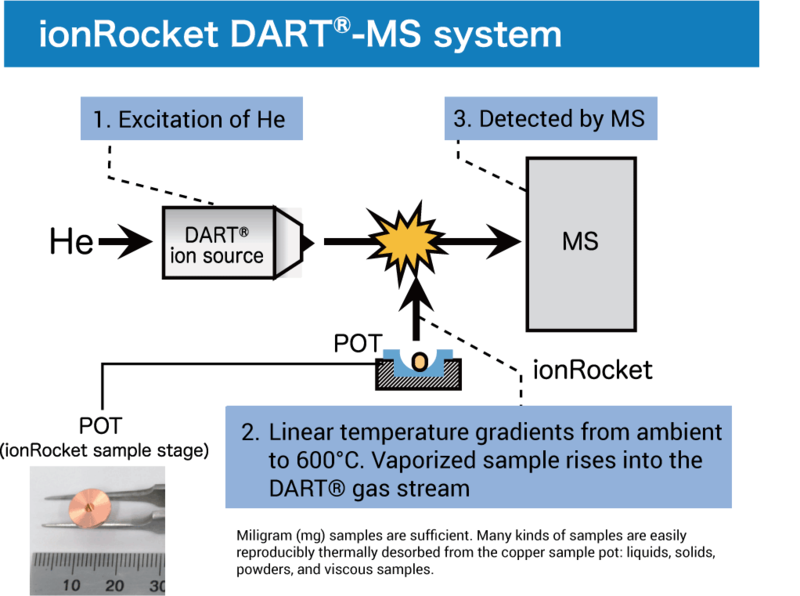 The data obtained from the ionRocket application gives another axis of temperature besides the obtained data from DART®-MS (Direct Analysis in Real Time-Mass Spectrometry). Since the temperature shifts by time in minutes, the given profile shows similar ones to chromatograms. The given data is three dimensional consisting of mass, temperature (=time) and intensity. Bridge, C. & Marić, M. (2019). Temperature-Dependent DART-MS Analysis of Sexual Lubricants to Increase Accurate Associations. J. Am. Soc. Mass Spectrom. Barnett, I., Bailey, F. C., & Zhang, M. (2019). Detection and Classification of Ignitable Liquid Residues in the Presence of Matrix Interferences by Using Direct Analysis in Real Time Mass Spectrometry. Journal of Forensic Sciences. Cody, R. B., & Fouquet, T. (2018). “Reverse Kendrick Mass Defect Analysis”: Rotating Mass Defect Graphs to Determine Oligomer Compositions for Homopolymers. Analytical chemistry, 90(21), 12854-12860. Price, E. R., McClure, P. J., Jacobs, R. L., & Espinoza, E. O. Identification of rhinoceros keratin using direct analysis in real time (DART) time‐of‐flight mass spectrometry (TOFMS) and multivariate statistical analysis. Rapid Communications in Mass Spectrometry. Abe, H., Takei, C., Sakakura, M., Yajima, D., & Iwase, H. (2018). Comprehensive Drug Screening by Thermal Desorption and Pyrolysis Combined with Direct Analysis in Real Time-Mass Spectrometry (TDP/DART-MS). Analysis of Drugs of Abuse (pp. 115-124). Humana Press, New York, NY. Interested in how ionRocket will work in your lab? We can send you more information or run one of your samples.